Gaby has a B.A. in Elementary Education and a B.A. in German from the University of Texas at Arlington. 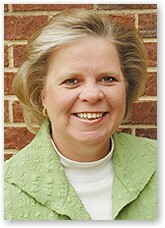 She taught kindergarten in Dallas, Texas and taught fourth grade for ten years in Arlington, Texas. She then joined the Arlington ISD Instructional Technology Department in 1996 as an Instructional Technology Specialist. Gaby received her Master of Education from North Texas State University.